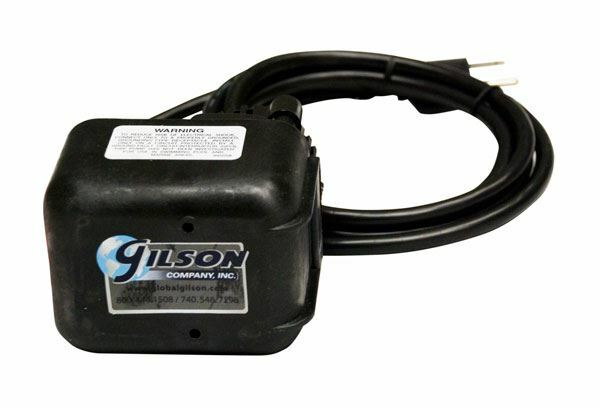 Curing Tank Circulator - Gilson Co.
HM-655 Curing Tank Circulator is a 1/125hp (36 Watt) silent submersion pump with 3 GPM (11.4L/ min.) rating at 1ft (0.3m) height. The steady but gentle circulation from the 1/4in (6.4mm) MNPT discharge may be aimed by placing the housing on any of four sides. Working parts are epoxy-encapsulated in the glass-filled nylon housing which comes with 6ft (1.8m) grounded cord.